Could the government privatise Network Rail? Would this plan actually offer any benefits to the taxpayer? Who would really benefit? Yes there may be multi billion pound savings to the tax kitty, but would this saving actually be relayed to the taxpayer? I can only see the additional cost be picked up by the customer and most likely this will be across the most in demand routes and peak times, which to be honest are already mind boggling. Following similar trends from the privatisation within the utilities sector, surely additional spending will be required on the regulation of the services, safety and cost to customers. I read a recent comment about rail need across peak times and what investment would be required to meet demand. After numerous fact and figures about costing and investment levels, I started reading the comments at the bottom of the article and was interested by one particular viewpoint of an individual who focused on, not what was need to meet demand, but idea of reducing the demand in the first place! He argued that with technology at the level it is presently. Employees could easily spend one day a week working at home. This would instantly reduce passenger levels by 20% and why stop there. Flexitime incentives could be introduced to spread passenger levels over a longer period of time to minimise the needs for extra services at peak times. I feel we all to often, look at problems from a single viewpoint and try to "fix" rather than address the cause. 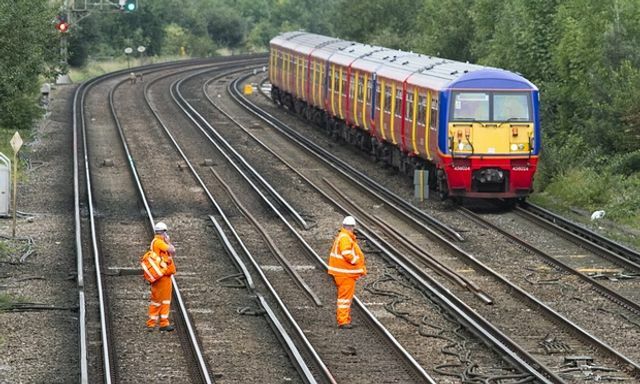 Fears the government could privatise Network Rail have been heightened after a report from an influential thinktank called for its abolition and endorsed closing lines and deregulating fares.